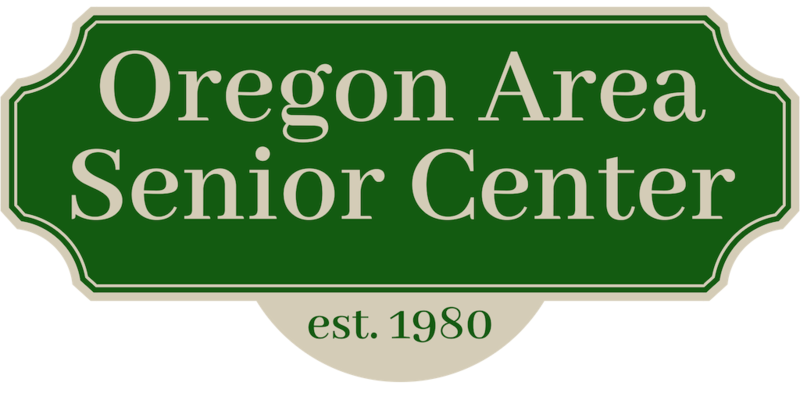 Be among the first to see a slideshow of next year’s upcoming trips with Badger Tour & Travel and the Oregon, Fitchburg, and Verona Senior Centers. On Thursday, November 3rd at 12:30 PM, Mike and Annette from Badger Tour and Travel will be here to discuss what’s new and you have first opportunity to sign up for 2012 trips! So bring your calendar and your questions. Call 835-5801 to sign up! Meet us at the WWI monument in downtown Oregon on Friday, November 11th at about 10:45 AM. The Oregon Middle School band is scheduled to play a medley of patriotic songs followed by a moment of reflection and a few words by retired Brigadier General Kerry Denson. Afterwards all are welcome to return to the Senior Center and hear a more formal talk from the General. This will be followed by a complimentary lunch for Veterans. All others are asked to make a donation. (See page 6 for the menu) Please make a reservation by Wednesday, November 9th. On Wednesday, November 16th from 9:00—11:00 AM you can create six handmade greeting cards to send to friends and loved ones. Instructor Katie Johnson will come with three different card samples and you will make two of each design. All materials will be provided including envelopes and adhesive. Everyone is invited—there is no experience necessary. This class is great for unleashing your creativity, learning a new skill, meeting new people, and socializing while you create! You must pre-register for this workshop by Monday, November 14th by calling Erica at 835-5801. Cost for the workshop is $10.00 per person (that’s only about $1.65 per card!). Laugh, gobble, win prizes, eat, be surprised—and not necessarily in that order. What better way to spend Friday, November 18th from 11:45 AM—1:30 PM. Plan to attend our Thanksgiving meal “feathered” with a game of Bingo (which is always best after a good meal!). Call by Wednesday, November 16th by 1:00 PM to reserve a seat for lunch. Create a colorful silk scarf using materials to dye the fabric in a microwave. Enjoy an easy way to make a beautiful product! No art background is necessary. Bring an apron or smock, rubber gloves, an old towel and your imagination for creative fun. Class is taught by Nancy Welch and will be held on Thursday, December 1st from 6:00—8:00 PM. Cost is $28.00 and deadline for registration is Wednesday, November 23rd. Call 835-5801 to sign up! Gather for an evening of fun! Several workstations will be set up and each group will make different types of treats. All treats will be divided between participants at the end. Basic ingredients and recipes provided. Bring a mixing bowl, 2 cookies sheets, measuring cups/spoons and utensils, plus containers to take home your goodies. This an easy & fun activity to do with your grandchildren (ages 8 and up) for $8.00 per adult or adult/child pair. Class will be held on Monday, December 5th from 5:30-7:00 PM. Call 835-5801 by November 30th to sign up. The Oregon Police Department has initiated a K-9 Fund Raising Campaign with the goal of raising adequate funds to support a K-9 Program right here in Oregon. Police K-9s have assisted law enforcement as early as 1901. With their amazing sense of smell, K-9s are able to assist officers with many activities such as tracking suspects, alerting officers to the presence of controlled substances, and locating explosive materials. Meet both Officer Vende and Officer Kohlman on Friday, December 9th at 10:30 AM. This program is free, but we ask that you call to sign up by Thursday, December 8th. Ever wonder how they made that? Come learn how to make these wonderful Norwegian desserts for the Holidays on Saturday, December 10th from 9:00 AM to Noon. All ingredients and recipes supplied. You may wish to bring your own apron as well as your own irons and/or tins or just use those provided. Each person will have the chance to make each kind of cookie and take a dozen of each home to share. Cost is $20 per person. Then you can say ”I made it myself!”. Call 835-5801 to sign up by Wednesday, December 7th. Join instructor Kathy Esch on Thursdays, January 12th through February 16th from 12:45 – 3:45 PM and explore the many ways to mix color to improve your paintings and have fun doing it. Learn how to apply that color to your painting along with many other painting techniques in this 6 week class. Each class starts with a demonstration. Students may apply new techniques io their own project or work on the exercises. Cost of class is $50.00 and some of the supplies are included. The remainder of the supplies needed will be reviewed at the first class. Cost of supplies starts at $20. Some tools can be borrowed during the class. Please sign up by Thursday, January 5th by calling 835-5801. Congrats to Millie & Paul on their 68th Wedding Anniversary! Paul & Millie enjoy made-from-scratch cake from their fitness instructor, Gudie on their special day. Thank you to Brooklyn Girl Scout Troop 2986 for your kindness! This Troop spent lots of time and creative energy into their thoughtfulness! Many decorated pumpkins and art work were donated to display here at the Senior Center. The Girl Scouts made the small pumpkins to be sent with volunteers to give to those who are receiving home-delivered meals, so they have a little cheer with their meal! Thanks so much!